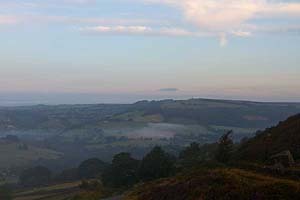 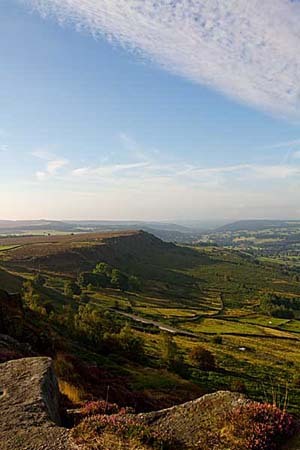 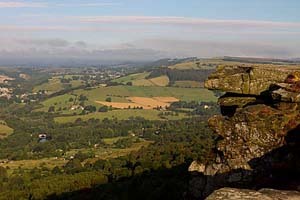 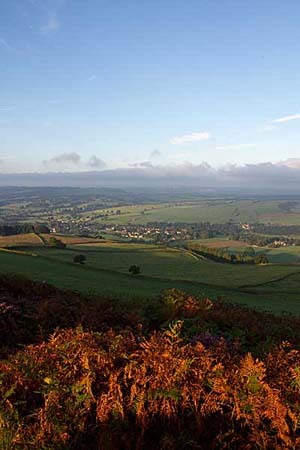 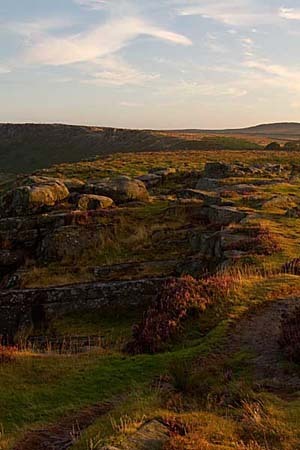 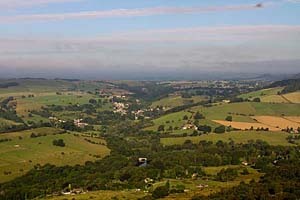 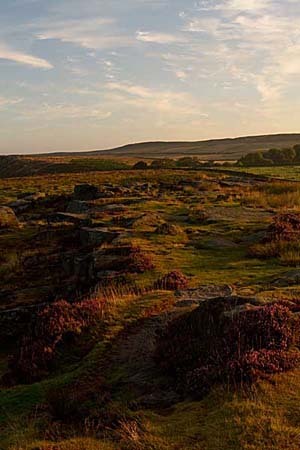 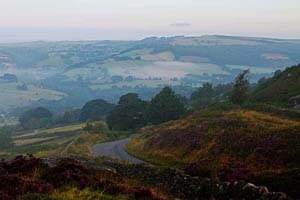 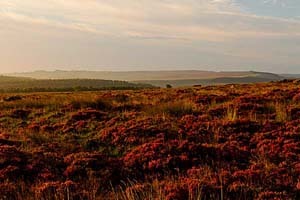 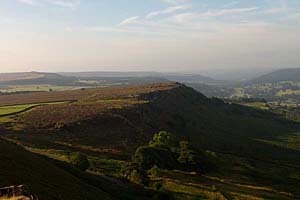 Baslow, Curbar and Frogg edges in Derbyshire and the Peak District are part an almost continuous line of cliffs running from Stanage Edge down to Birchen Edge at the southern end. 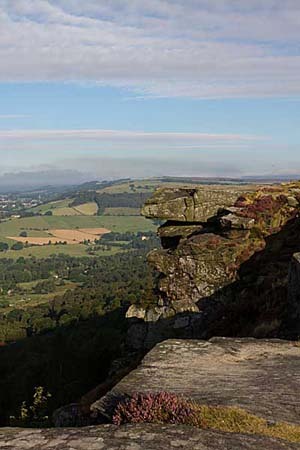 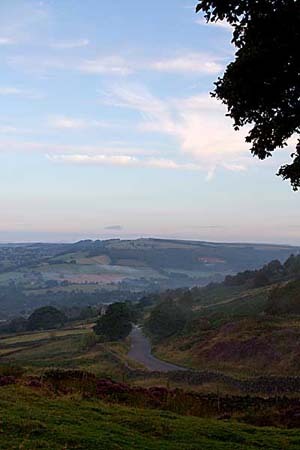 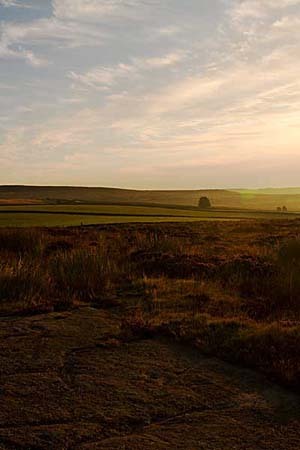 They are gritstone edges dominating the Derwent valley and walking along them provides for some stunning views of the Derwent valley and further afield as well as the villages of Baslow, Curbar anf Froggatt. 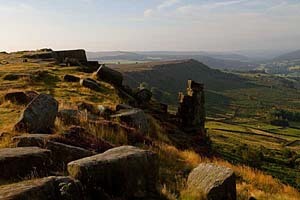 These edges are also popular with climbers. 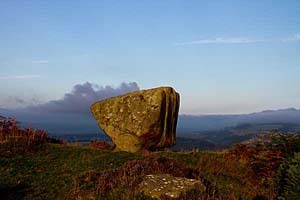 Eagle Stone on Baslow Edge is an interesting rock. 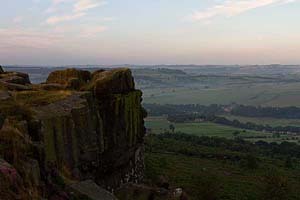 In years gone by, the young men of Baslow used it to show off their prowess and fitness for marriage by climbing to the top. 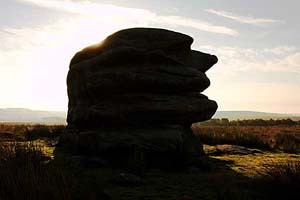 Now it is just one of the many interesting rock formations to be found in the Peak District National Park. 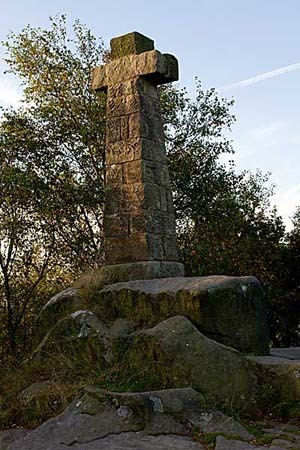 Another curiosity on Balsow Edge is Wellington's monument, a 3 metre (10 feet) high cross which commemorates the Duke of Wellington. 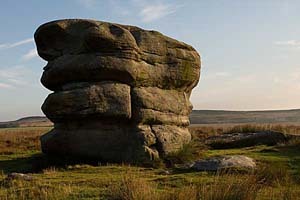 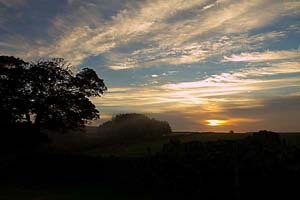 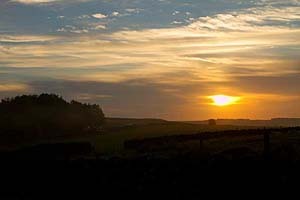 It was erected to balance Nelson's Monument which is a mile away, on Birchen edge. 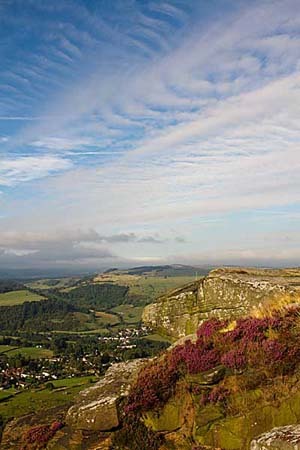 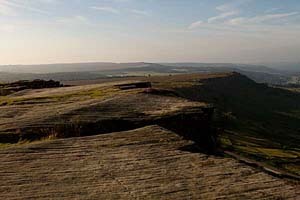 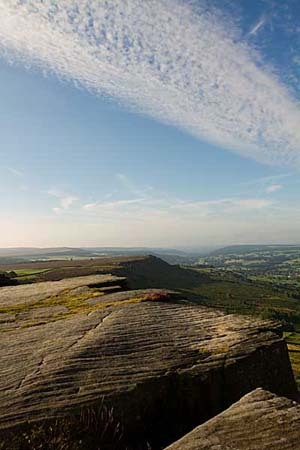 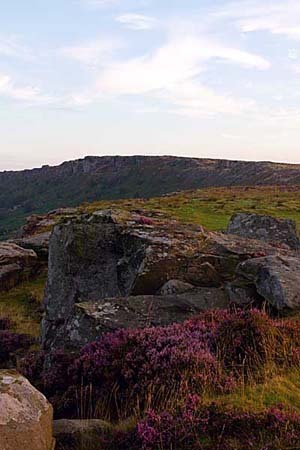 Rock climbers suggest that Curbar Edge is a great place to climb though is not a crag to be recommended for novices.